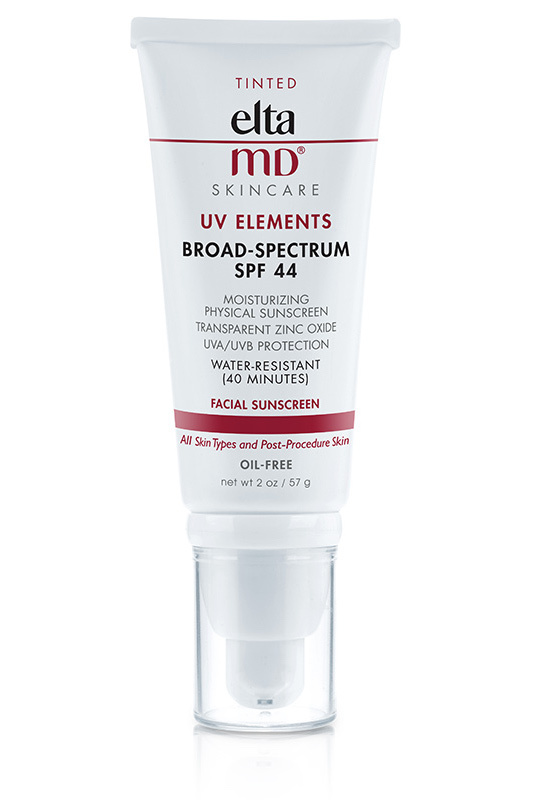 EltaMD UV Elements is a 100% physical sunscreen in a tinted, moisturizing base. It is gentle for even the most sensitive skin types, including post-procedure skin. Its chemical-free actives, zinc oxide and titanium dioxide, provide safe but sure sun protection. These mineral-based UV filters work with ultra-hydrating hyaluronic acid to protect and hydrate the skin. UV Elements has a universal tint that beautifully enhances most skin tones. Apply liberally 15 minutes before sun exposure and reapply after 40 minutes of swimming or sweating, immediately after towel drying, or at least every 2 hours. Active: 10.0% Zinc oxide, 5.5% Titanium dioxide. Inactive: Purified Water, Cyclopentasiloxane, Dimethicone, Octyldodecyl Neopentanoate, Lauryl PEG-9 Polydimethylsiloxyethyl Dimethicone, Dimethicone/PEG-10/15 Crosspolymer, Sodium Hyaluronate, Ascorbyl Palmitate, Tocopherol, Sodium Chloride, Triethoxycaprylylsilane, Alumina, Methicone, Potassium Sorbate, Phenoxyethanol, Citric Acid, Iron Oxides.